MOC sees Social Somatics as the awareness that bodies are both forming and being formed by our social/cultural histories—it is with this understanding that our second module, the Socially Conscious Body begins. The personal is the political, the political is the personal; we are and always have been an interconnected earth ecology. What is happening in another part of the planet affects us wherever we are. Early indigenous and eastern philosophies understood this. Many of these earlier cultures were able to integrate their daily practices, rituals and ideologies with an understanding of the interconnectedness of everything. We believe power dynamics don’t shift at a systemic level without first shifting at a personal and relational level. Based on this awareness of inter-connectedness, Social Somatics teaches sense-based participation in the world as a source of transformative power to shift awareness and broader social structures. We want to engage in creative and embodied action that bridges disconnection and transforms cycles of injustice into new paradigms of shared respect and resources. We work to use somatic wisdom to foster conditions for healthy, sustainable, social structures and relationships. This module is an immersion in various modalities that facilitate greater awareness of how we each relate to the larger social sphere. In the first part of the module, called “Process Arts”, the curriculum includes Process Work, Theatre of the Oppressed, Authentic Movement, and Liberation Singing. In these classes, we will look within our own bodyminds to discover a greater range of options in relating to diversity, conflict, and our rapidly changing culture. This module include a social change project, homework and integration classes. The second part of the module is called “Professional Facilitation Training”. This part includes the fundamentals of group facilitation during the first week, followed by more advanced training in the second week. The first level will address skills for the beginner facilitator (The Basics of Group Facilitation) and the second level (Going Deeper: Advanced Facilitation) will address skills to deal with more complex issues such as racism, sexism, ableism, etc.. These two levels of training challenge participants to step into a conscious leadership role as a group facilitator. Singing together has been the “Voice” to unify, encourage, uplift and communicate the human spirit in many social movements throughout history. The Voice expresses the truth of the soul. In this workshop, we will physically warm up the body and voice through improvisational scores, bringing us more deeply into an experience of the “embodied voice”. We will learn many world songs belonging to different cultures and different protest movements such as: Balkan songs, African songs, civil rights, spirituals, gospel songs, peace songs and rounds. PROCESS WORK and WORLDWORK offer powerful and effective tools that can help us to work toward wholeness, well-being, social justice, and community. Developed by Arnold Mindell, Ph.D. (author of Sitting in the Fire, Dreambody, etc.) and his colleagues from around the world, Process Work and Worldwork are based on a trust that even the most disturbing experiences – including physical illness, conflicts and world issues – can lead us in the direction of change, growth, and connection. Authentic Movement is a self-directed movement form. One moves with eyes closed in the presence of another, who is a witness. With eyes closed, the mover has the opportunity to bring awareness to inner sensation and focus on other senses. As a witness one is encouraged to bring attention to one’s own experience while being totally present in seeing the mover. The simplicity of this form is its power. We will explore the action of seeing and being seen, the dynamic interplay that is at the heart of both the therapeutic dyad and performance. This class provides time and space in the Moving On Center program for integration. It is a time we use to be present with whatever is moving for each of us. Theatre of the Oppressed is a set of games, exercises and practices that create space for people to name their reality, identify the contradictions, dialogue through the language of theatre, and try out different solutions. It uses movement, storytelling and tableaux to explore how images of one’s personal experience reflect universal issues of power and social transformation. This workshop offers an energizing set of skills for activists, teachers, leaders and artists working for social change. This course engages participants in an overview of basic skills and procedures for encouraging productive, inspiring meetings. Using brief lecture, experiential exercises, role-playing, self- and group-process reflection, we’ll explore facilitative influences on the dynamics of meetings and effective groups, with a focus on participatory (consensus) agreement building. The workshop will include specifics such as: listening skills, using guidelines with groups, differentiating content from process, focusing and managing conversations, working with concerns, and the self as instrument in any group meeting. Mornings will be spent learning games and songs for community building and a somatic approach of looking at ourselves psychologically to build awareness of how the body becomes both a resource and tool to support us in the facilitative role. This course is designed to support the emergence of skills, capacities, and qualities that will enable cultural leaders to engage the edgier issues that arise within group life. Racism, sexism, classism, ableism, and other forms of social oppression often evoke intense subjective states. When these states are activated, capacities of empathy, courage, and self-awareness, as well as the ability to play and work in ways that transgress the normal rules of engagement, can minimize scapegoating dynamics. We will explore the role of expressive skills in the creative engagement of difference. Group facilitation can be supported by bringing awareness to some basic experiences most of us have when gathering with a group: issues of acceptance and rejection, the fear and excitement of being intimate, and the tension between being an autonomous individual and being a part of the group. Many of these issues lie deep in our bodies and minds and are not in our conscious awareness. Bringing these unconscious issues into awareness creates more ease and a fuller intelligence for the group and its members. 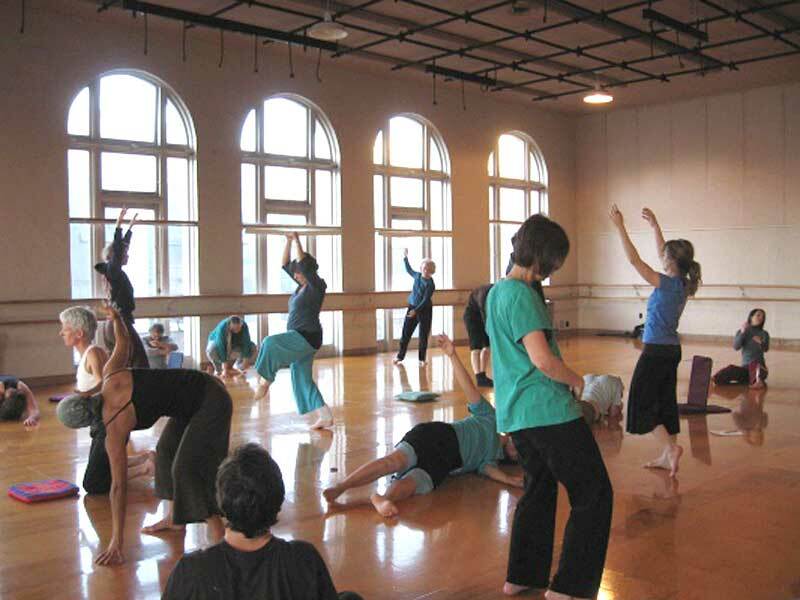 Using skills developed through the practice of Authentic Movement and other body-centered forms, you will learn to directly and indirectly address these issues as facilitators. At the end of the module students will be invited to work on the final project incorporating and expanding on the material they have been working together. A place where students and faculty gather to check-in every week and share with each other what is going on in their present experience. This is an essential part of the curriculum. It is a direct practice in utilizing the various systems we are learning in connection with the real relationships within the group. Participatory Seminars are for presenting theory, participatory dialogue and practice in bringing the experiential into cognitive articulation of these various systems. Integration classes provide experiential & theoretical summarizing to integrate the current weeks course material. A time for faculty members to address the students’ curiosities and concerns related to the material and personal struggles and to provide support in the unfolding of one’s creative potential and vision. Specifically designed to integrate the material you are learning through research and writing and/or presentations within a small group and faculty. They are shared within an attitude of mutual learning and support. Singing together will be interspersed throughout the module. It is an opportunity to bring the voice into fuller expression, create a spirit of unity and an awareness and appreciation of difference.